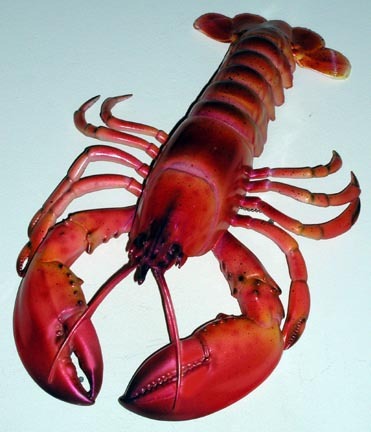 A lobster, when left high and dry among the rocks, has not instinct nor energy enough to work his way back to the sea, but waits for the sea to come to him. If it does not come, he remains where he is and dies, although the slightest effort would enable him to reach the waves, which are perhaps a few hundred yards from him. The world is full of human lobsters: Stranded on the rocks of indecision and procrastination, who, instead of putting forth their own energies, are waiting for some grand billow of good fortune to set them afloat. Parenting is arguably the most difficult job in the world. It taxes your mental, emotional and physical energies beyond previous boundaries. Yet, in spite of all the hardships, we adore our children and want the best for them. We want the best, but sometimes wanting and giving are two different things. We want our children to do well in school. We want to be involved in their education. We want them to develop a love of learning and develop into successful, influential, educated human beings. We want all those things, but too often we feel like the lobster, high and dry on the emotional rocks of ‘life’, weary and beaten, lacking the drive and the energy to drag ourselves to the sea of idealism. So we remain where we are, waiting and hoping that the sea of opportunity will come to us, and carry our children high upon the grand billows of good fortune and set them afloat to success. It’s time to stop being a lobster. I don’t need to tell you that if you don’t take responsibility for your children’s education, no one else will. You send your children to school to get educated, but that doesn’t exonerate you from the outcome. The only way to ensure your child’s success is by taking an active role in their learning. So how can you do it? It’s simple. Begin by getting off the rocks of indecision and procrastination and put forth your own energies. Do something, TODAY. And then make a habit of doing something everyday. Buy a book, read with a child, start reading your own book and set the example. Model lifelong learning. Let your children see you learning something everyday, even if you’re not enrolled in ‘school’ or a course. You’re responsible for your education, in or out of school, so let your children see that. Provide easy access to reading materials. If you don’t have a home library, start building one- for you and your children. You’re less likely to read if you don’t have anything to read. Encourage reading everyday. Provide special times, make it a reward and sometimes have treats for reading time. We make movie nights fun with blankets, popcorn and goodies, we should do similar things for reading time. Read with your children everyday. Let them read to you, or you read to them. It only needs to be a few minutes if that’s all you have, but it lets your children know that reading is important, and something that is done everyday. It’s difficult in today’s culture to remember the importance of reading. Reading is like exercise for the brain. It accomplishes growth that cannot be had in any other way. It expands realities, inspires change and develops maturity and wisdom. Reading is critical to success in life, relationships, health, finances and every other area of existence. Be the change you would see in the world! Stop being a lobster and waiting or success to come to you. Start today to guide yourself and your children on the upward path toward a love of reading and lifelong learning. This entry was posted on July 27, 2008 by racheldenning. It was filed under Benefits, How To and was tagged with education, influence, learning, lifelong, parenting, reading.